Home » Why choose Social Graces? We are the only local studio that has full time professional certified instructors who teach you how to dance at social events in an easy, fun, and systematic way. We also have the most efficient and organized system of teaching offered in the region, which will save you money. Our staff is certified to teach from the DIVIDA syllabus, the most common syllabus used in the US today. Our staff must undergo rigorous training to work at the studio and is required to take continued training to stay current. Social Graces hires full time dance instructors who focus on our students during our business hours seven days a week between 10am and 10pm. We also have wedding specialists trained to teach wedding couples for their first dance, reception and the rest of their lives together. We use regulation speed music as well as your favorite popular music to teach you the ins and outs of each dance’s unique musical requirements. Ever get hurt from poor dance instruction? 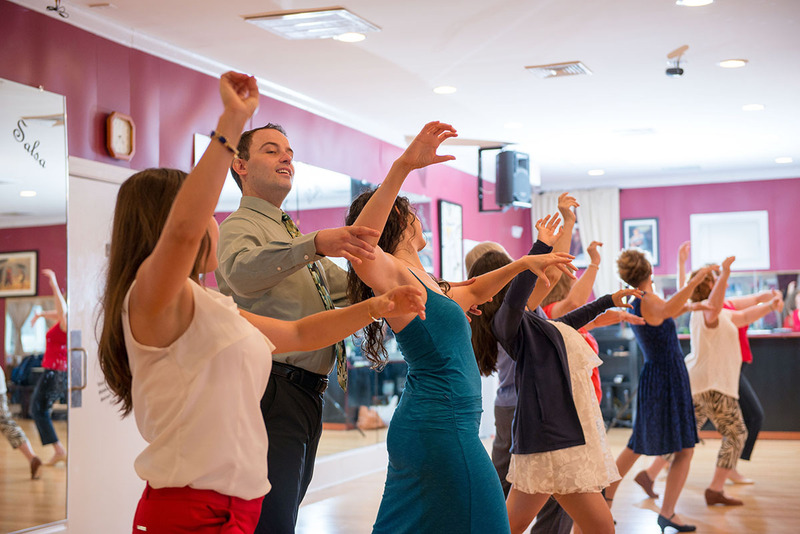 Our staff is especially trained to teach as well as dance and our professional studio’s amenities help our staff teach you dance in a fun, relaxing, and safe environment. Our staff uses mirrors to see how you are learning the given information from all angles. Our main studio’s hard wood floor is just the right size and has just enough friction for ballroom dance shoes. Our studio’s parking lot has ample space – parking is never an issue. We teach dance etiquette so our students know how to act in a social dance environment. We pride ourselves on the fact that our students and instructors together create a friendly atmosphere. We know that when dancing for joy, manners go further than constant constructive criticism offered at other places, which is why we teach our students how to make everyone feel welcomed. We know the common rules of social situations because we dance socially too. 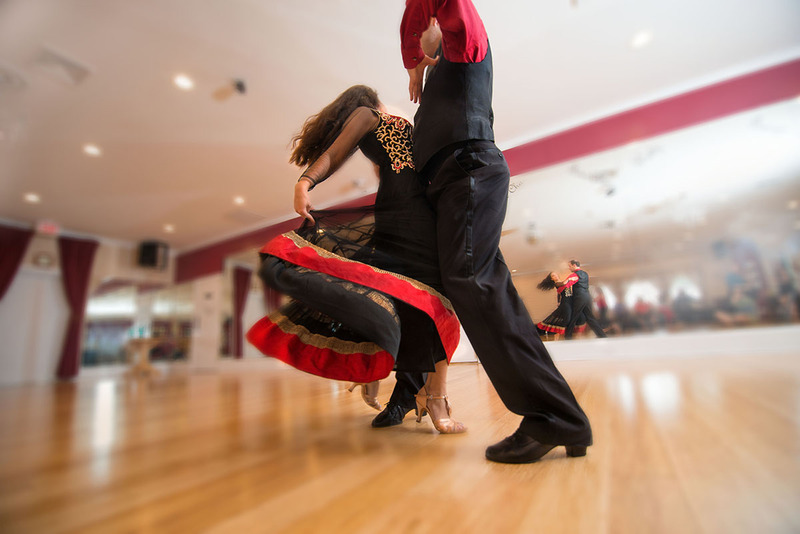 Each student’s private lessons are tailored to fit their needs and wants as a dancer and are planned accordingly. We spend time off the floor planning your lessons so you can get the most out of each and every one. Start off on the right foot! Schedule your first lesson today!